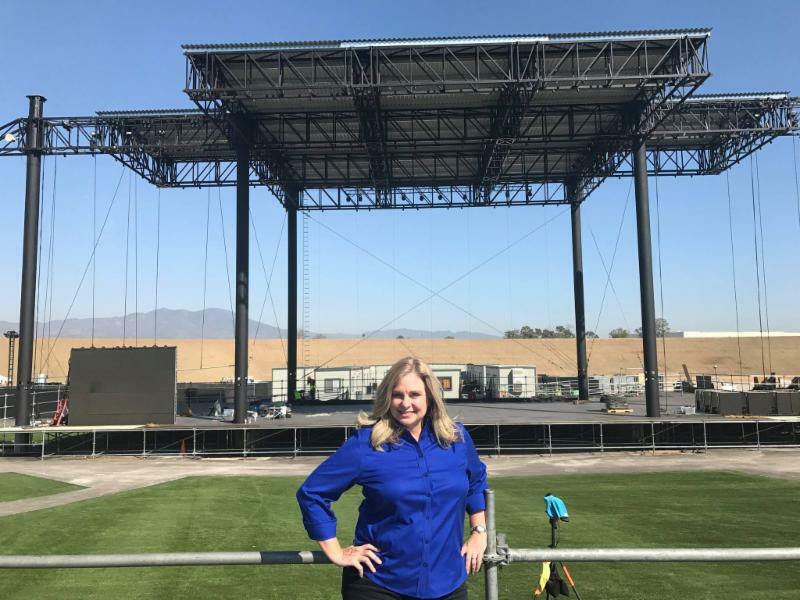 Take a Sneak Peek at Irvine’s New Amphitheatre! 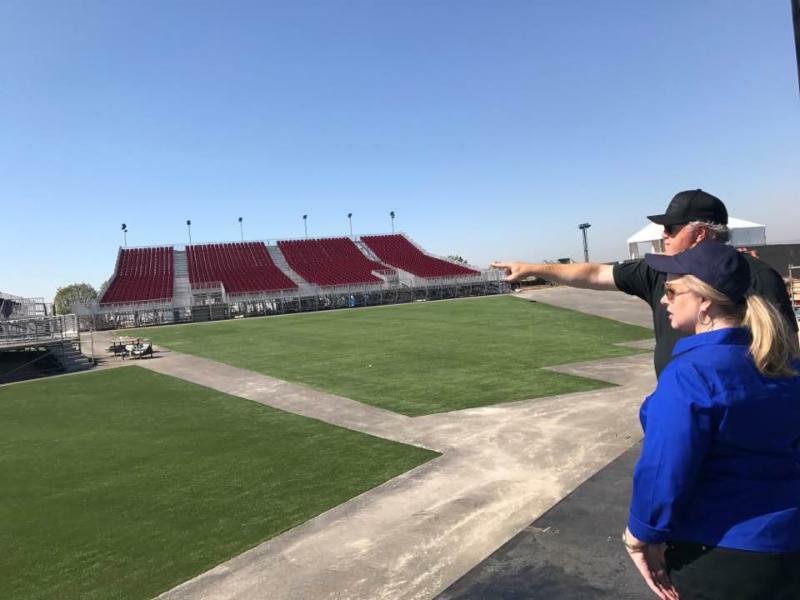 I had the opportunity to visit the nearly completed FivePoint Amphitheatre about a week before its Grand Opening on Thursday, October 5. 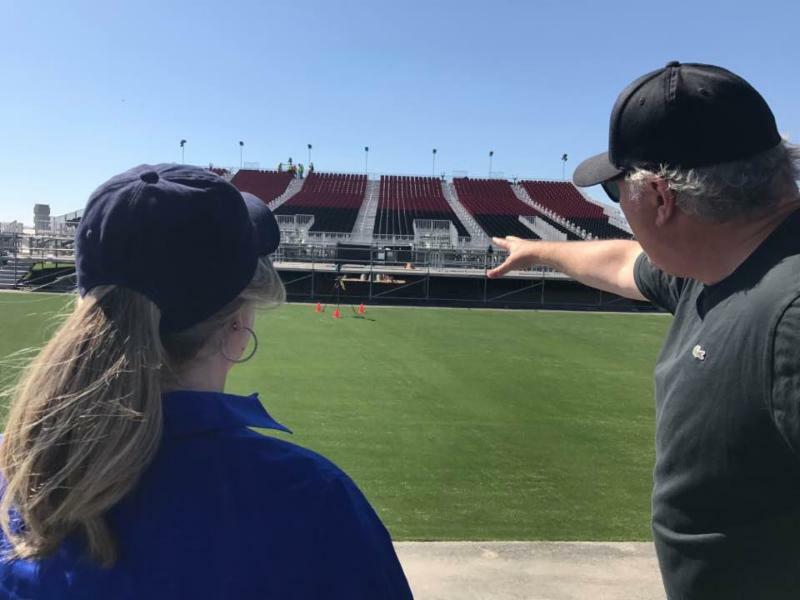 When I visited, dozens of workers were still putting finishing touches on the stage and the berm that will serve as a barrier protecting the homes near the Great Park from the sounds coming from the amphitheatre. It was already clear that the new FivePoint Amphitheatre will be a magnificent addition to our city. 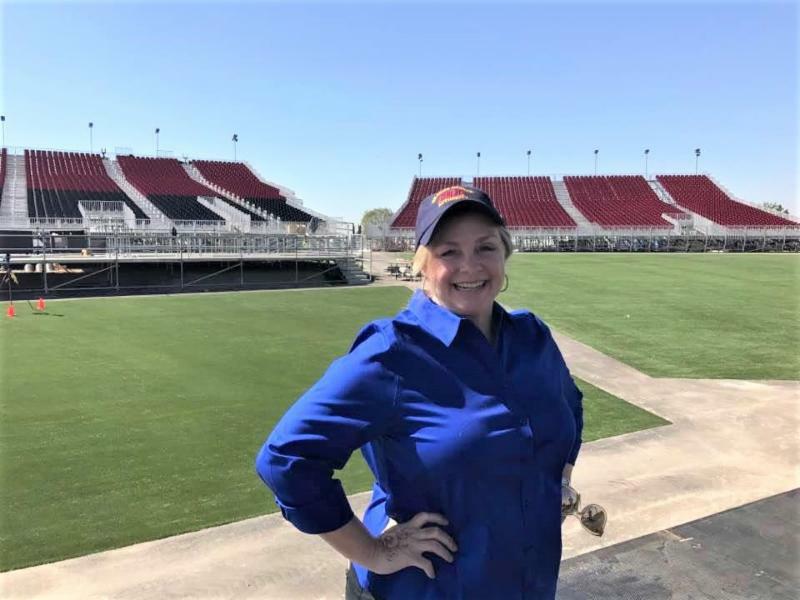 The new live music venue will contain 12,000 seats (6,500 fold-down seats including the 280 seats within VIP boxes; 5,500 people can comfortably fit in the grassy front-of-stage area. The venue is also beautiful. Comfortable red seats face the stage. Between the stage and the seats is an expanse of grass-covered open space. 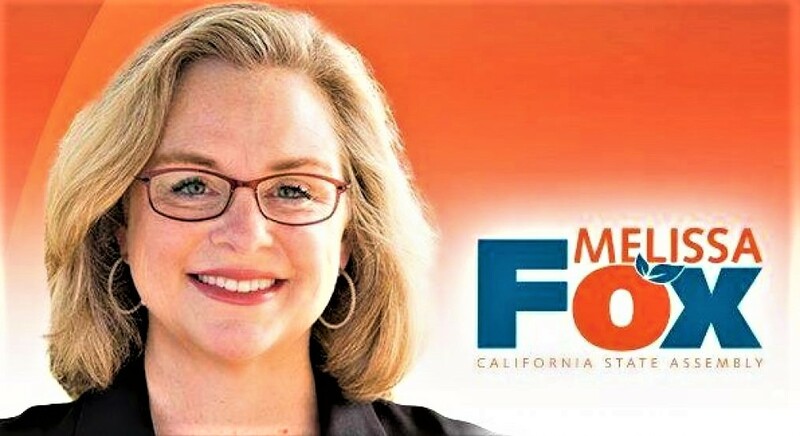 In March, I was delighted to vote with my colleagues on the Irvine City Council to approve the construction of the new temporary amphitheatre located on FivePoint’s property adjacent to the Orange County Great Park. The annual revenue generated to the city is estimated to be at least $20,000 to $30,000, from onsite sales tax. Costs of service for Irvine Police Department personnel, both onsite and offsite, are covered by the operators of the amphitheater. Now I am excited to see – and hear – the great performances that will take place in Irvine! The FivePoint Amphitheatre opens on October 5, 2017, with performances by Young the Giant, Cold War Kids, and Sir Sly. For more information about the Young the Giant concert and upcoming shows, call 800-745-3000 or go to Livenation.com or FivePointAmphitheatre.com. I’m also looking forward to building a new and permanent amphitheater at the Great Park! Can’t wait for live music to return to Irvine!